long_descriptionThe California Pizza Kitchen Cookbook BBQ Chicken Pizza, Mixed Grill Vegetarian Pizza, Tandoori Chicken Pizza, Thai Chicken Pizza. These are just a few of the delicious pizzas, baked fresh in wood-burning ovens, that have helped to make California Pizza Kitchen into one of America's hottest and most successful restaurant chains. Founders Larry Flax and Rick Rosenfield put the world on a pizza and the results are fantastic. Now, for the first time, here are the recipes that have made CPK restaurants so popular, with step-by-step directions to make pizza cooking easy and fun, even for beginners. 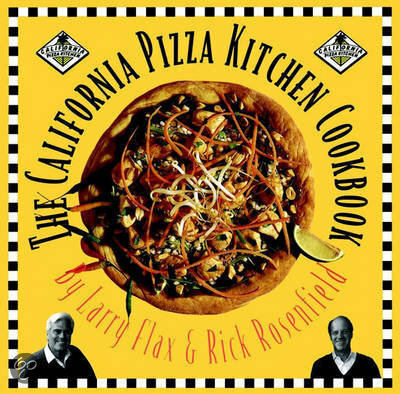 In addition to the pizzas and calzones, Rick and Larry include recipes for creative pastas, salads, soups and appetizers, not to mention the tempting dessert pizzas. Whether CPK is already your favorite place to dine with family and friends or you're a creative cook with a taste for bold, fun, international flavors, The California Pizza Kitchen Cookbook is the cookbook for you.